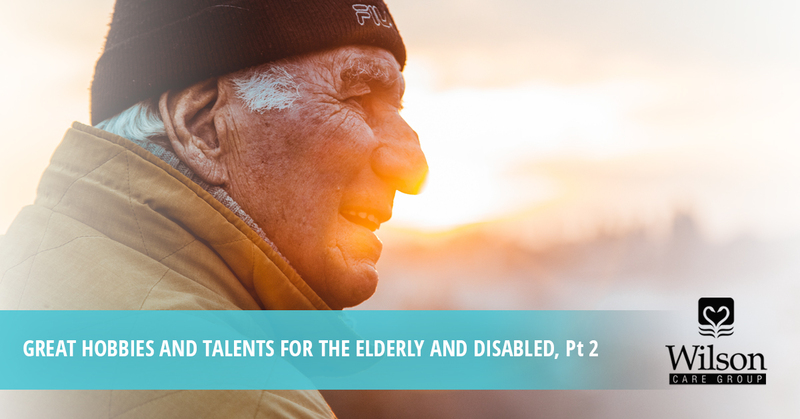 In our last blog post, we discussed certain long-term talents you can pick up if you’re in a position where your capacity for physical activity is limited. However, activities that require skill and talent can often be intimidating because proficiency requires time and effort. For a lot of people, picking up a simple hobby is a less stressful way to pass time. However, it can be hard deciding on an activity to pick up. As professional homecare service providers, we’ve helped countless seniors in the Honolulu area to find new activities that can invigorate their life. If you live a sedentary lifestyle, here are some great ways to spend your time that don’t require physical activity! Many seniors resort to television as their go-to activity for idling away time. While certain television programs and movies can be stimulating, there is also a lot of filler, and sometimes it’s just nice to get away from screens. That’s why it’s great to dive into a good book. Whether you’ve been a reader your entire life, or you’re looking to get started with some good literature, it’s never a bad time to pick up a new book. Books are also a great way to keep your mind sharp. Reading a book requires more mental engagement than watching a screen, and in old age, that’s just as important as physical health. Consider jumping into a good book today, and if you want any recommendations, our home health care professionals would be happy to give you some ideas! If you’ve never gotten into board games, now is the time to start! Did you know that board games are bigger now than they’ve ever been? Hundreds of games exist that go well past the traditional classics you’re used to such as Monopoly and Scrabble. Board games vary in complexity, ranging from extremely easy to comprehend and learn, to complicated strategic affairs that challenge your mind. Research has also shown that board games are exceptional tools for keeping your mind and memory healthy. Memory loss has been shown to be less common among those who keep their minds busy with games. Don’t have anybody to play with? No problem! It may sound strange, but one player games exist too. But no matter what you do or who you play with, games can be a fun way to unwind, work your brain, and enjoy the company of somebody else. While we did give mention to avoiding excessive screen time earlier in this post, video games aren’t the worst way to spend some time. Much like board games, many of today’s video games are actually mentally stimulating, and because they require more engagement than a television program does, they can actually challenge you, make you think, or provide interactions with others. You can play games in the same room with other people, or online! Many elderly people have actually had positive experiences bonding with younger family members, such as grandchildren, playing games with them. Games are uncharted territory for a lot of seniors, but if you give them a try, you might just find that they’re a good fit! The great thing about writing is that there is an unlimited amount of topics, styles, and works you can choose to create. Even if you’ve never been a strong writer in your life, picking it up as a habit can be a boon to yourself and your descendants. Writing is a peaceful activity that passes the time well and allows you to artfully present your thoughts and feelings. This is extremely valuable for your posterity — there’s nothing quite like reading the written works of ancestors. Is there a story you’ve always wanted to write but you never quite got around to it? Do you want to start a diary? Are there nonfiction topics you want to address? Whether you’re writing on paper, using a typewriter, or running your own personal online blog, writing is a therapeutic and cathartic activity that can also be a great way to keep your mind active and running. Regardless of what kind of hobbies and talents you pick up, your well-being and general health are still the most important priority in your life. And for the things that you need assistance with, our team of home health care experts will be happy to help. We’ve served countless clients in the greater Honolulu area, and we are happy to stop by your home, help you with your medications, take care of basic housekeeping tasks, and more. If you or somebody you know needs homecare assistance, don’t hesitate to contact Wilson Care today!